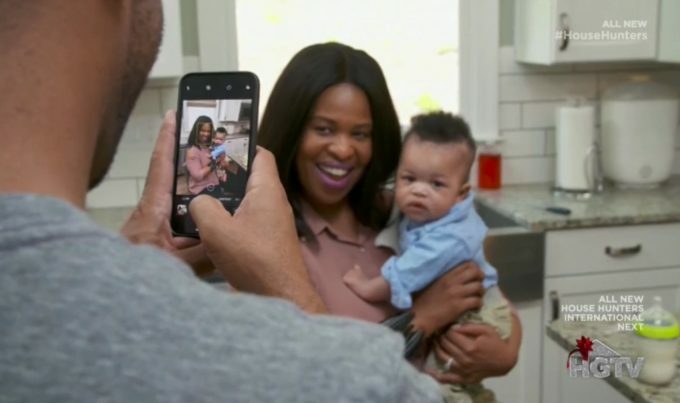 House Hunters Adrienne and Michael are moving from Florida to Atlanta, GA. Michael is a professional real estate investor and Adrienne is a marketing professional, and they’re moving so that Michael can be closer to the booming Atlanta market. They met in college, when they were both attending Howard University. Michael and Adrienne then reconnected five years ago. Now they’re married and have a five month old baby, named Xavier. They also own a dog named Christen. Adrienne and Michael have a $600,000 budget. He wants to stay under it, but she’s willing to go a little higher if necessary. They’re both against owning a new construction home, because they want to avoid hearing the sounds of homes being built. They also don’t want to have any projects; the home must be move-in ready. Adrienne and Michael want to live on a quiet street, and to have a home with a big backyard. 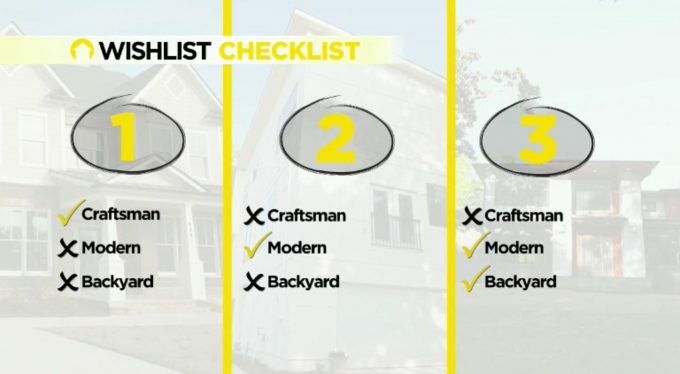 Hers: Adrienne wants a craftsman style home that’s a single story. She also wants it to have a front porch. Him: Michael wants a contemporary modern home with a 3-car garage and basement. This craftsman style home has a cute and cozy exterior. The living room is open and large with a fireplace. The kitchen also fits Adrienne’s needs with it being open, large, and white. But, it’s missing a fridge. It also includes a breakfast corner and keeping room. This home has plenty of space with a 2-car garage, a front porch, five bedrooms, and four bathrooms. The backyard is very lackluster with some homes being built on the other side, and not much green. It has a big master bedroom, but lots of stairs. Michael and Adrienne also are not happy that it’s on such a busy street. It’s a modern home on a quiet street. It has a fenced backyard, three bedrooms, and three and a half bathrooms. 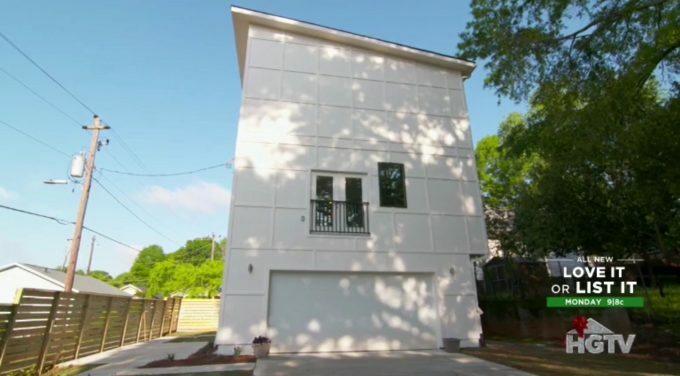 This home has a two-car garage and a nice, white bright kitchen. The entire home has a very minimalist look, with clean lines, big windows, and neutral colors. The place also has a huge closet, which Adrienne loves. She’s not a fan of all the stairs. This is a modern homes that was originally built in 1955, but has been renovated. It also has a 2-car garage and on a busy street. This home has even more space than the first one, with five bedrooms, and four and a half bathrooms. It has a white bright kitchen with a big stove. This home has a huge backyard but lacking space in the bathrooms and master bedroom. It also includes a deck and pool. Decision Time: House #3 looked amazing from the exterior and interior, but it was little too out of their budget, and the noisy street didn’t help. 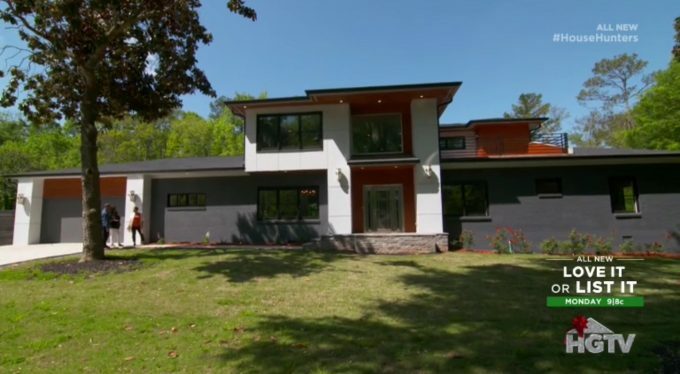 House #2 was sleek and modern, but it seemed to be missing some characters. House #1 also had a really nosy street and it was a new construction, which meant even more sounds. However, it seemed to have most of what they asked for and needed. Adrienne and Michael pick…House #1. They bought it for the $515,635 asking price.